Just in case you missed the turning of the calendar page, we have kicked off our February read for the Reading to Know Classics Book Club. 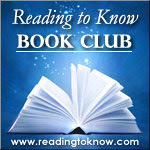 This month Stephanie from Everyday Family Living is hosting the discussion and she has selected Little House on the Prairie by Laura Ingalls Wilder for this month's reading "assignment". 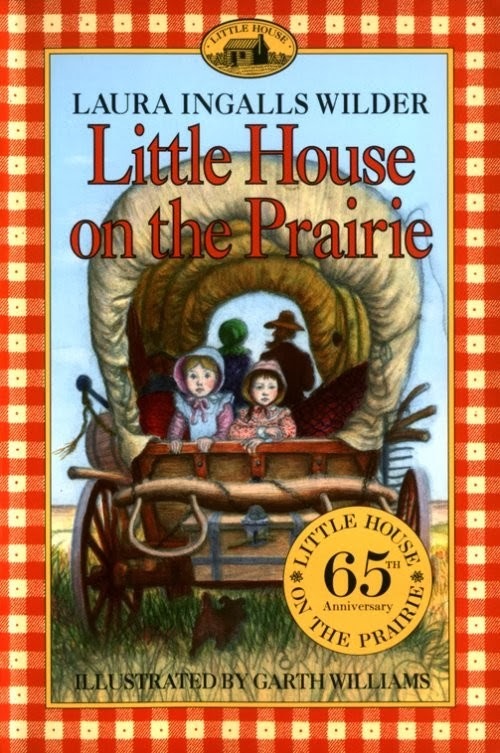 Although the group is officially reading Little House on the Prairie , please feel free to read any of the books in the Little House series as part of this reading challenge. My kids and I are currently reading On the Banks of Plum Creek because that is the title that we were on. That to say, there is freedom in your choice of books from this series, but Stephanie will be discussing Little House on the Prairie for purposes of our discussion. While my middle school friends played with make-up and learned to tease their hair, I devoured books one giant stack at a time. The one set of books I always wanted, but could never buy, was Little House on the Prairie. I loved the stories of Laura Ingalls Wilder growing up on the plains, sharing a bed with her sister Mary, and the fierce loyalty of their dog Jack. I devoured the stories wrapped in yellow covers in record time. As a child of the 80s, Melissa Gilbert will forever be the face of Laura Ingalls in my imagination! So, when my daughter was born, I knew that one day I would give her the set (sadly not the yellow covers of my childhood) and read them aloud to her. Together we would explore the Great Woods, join Laura in a sod house, and discover what life was like on the Prairie. In November I turned 39 and wrote down a Bucket List. When Carrie asked me to participate in this year's reading club I knew EXACTLY which book I wanted to pick. Number 28 from my list - Little House on the Prairie. I plan to read the entire series with Ellie, but for this month my daughter and I will read aloud Little House on the Prairie. Grab your daughter or your son (boys like the adventures as well!) and join us as we spend a few hours the month with Laura, Ma and Pa Ingalls. From the time she was a little girl, Stephanie Kay dreamed of being a mama. What she didn't know was that her dream would come true 4 times in 5.5 years – bringing with it bone deep exhaustion, mind numbing brain fog, and mountain ranges of dirty laundry. Having survived to tell the tale, Stephanie shares practical tips for connecting as a family through everyday moments on her blog, EverydayFamilyLiving.com. 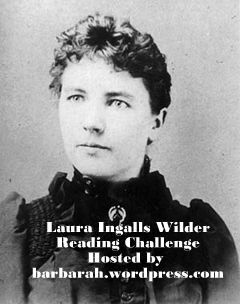 Also, it should be noted that we've arranged a Laura Ingalls read during the month of February to coincide with Barbara's Laura Ingalls Wilder Reading Challenge which she hosts every February over at Stray Thoughts. Find out more about that by clicking through. Are you planning to join in with this this month? (Rather, have you already begun reading for this month?) We'd love to know! Drop a quick note in the comment section if you would and we'll plan on meeting back up here on Friday, February 28th to share our thoughts. I wish I had more time to scour the libraries in our area for more LIW books. Wish I had more time to get some reading done period! :) Enjoy your month! I'm reading Farmer Boy. I think it was the second book written in the series, but since it is Almanzo's story, it can really be read any time before he appears in the series as an adult. Since I think I'll probably only have time to read one book in the series, I thought it would be a good time to get into that one. If I have time (usually when I start on these books I want to keep going), the next book in my reading of the series is By the Shores of Silver Lake. The Little House books were some of my favorites growing up--but they were also my older sister's favorites and we only had one set between us. As a result, I have Little House insecurity and find myself picking up a third or fourth or second set whenever I find them second hand. Sigh. We are reading! We are reading These Happy Golden Years (where we are in the series) and maybe The First Four Years since it's so short. We'll have to see. I'm excited to be back with this series. We read The Long Winter last winter - it would have been a better fit this year with the extreme cold that we are having! I already finished mine! It was a fantastic reread and I sighed when I finished the book. ;) I don't feel up to tackling the entire series but thoroughly enjoyed reading just the one title. I did read it with a different mind this time, though... What would my daughter think of the United States based on what she learns from this book? Hmmm... some interesting thoughts there.